Our 75-acre vineyard, known as Lakeridge Winery & Vineyards, is located in Clermont, Fla. Additionally we own 450 acres in Florida's panhandle in Prosperity and contract with several growers throughout the Southeast with approximately 200 acres under contract. We grow native varieties of the red Noble and bronze Carlos and Welder Muscadines. Our vineyard is planted with Muscadine varieties native to the Southeast and disease resistant and its adaptability to a warm, humid climate. 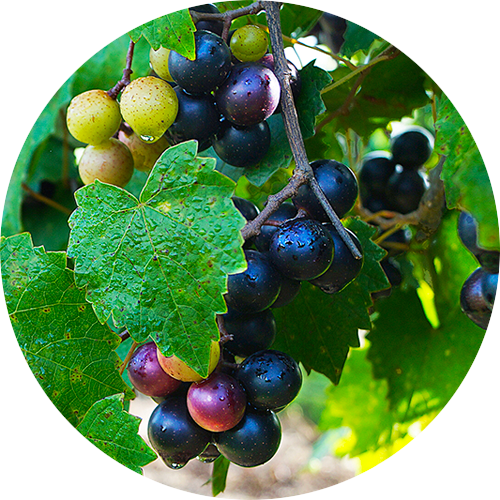 Breeding programs over the past 50 years by plant geneticists and food scientists have brought about dozens of new types of Muscadine and bunch-grapes, some of which are excellently suited to winemaking. The Muscadine varieties we use are Noble (red), Carlos, and Welder (whites). Our vineyard does not yet provide all the grapes we need, for this reason we contract with other growers to provide the balance of the juice we need.